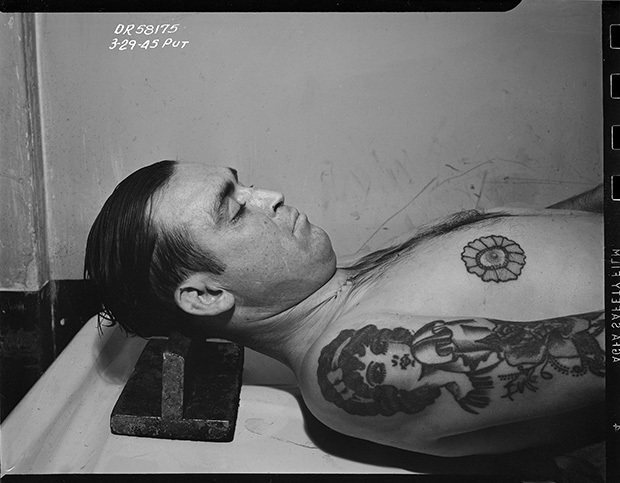 Morgue, man with floral tattoo, 1945 © LAPD. Courtesy of Fototeka. 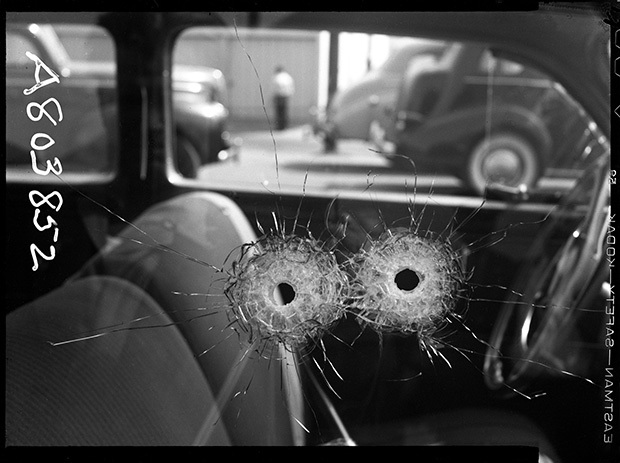 Detail of two bullet holes in car window, 1942 © LAPD. Courtesy of Fototeka. From Weegee to L.A. Confidential, both real and fiction crime stories have been well established as an object of intrigue. From April 25-27, Fototeka will be exhibiting images from a massive archive of Los Angeles Police Department crime scene and evidence photos, some dating back to 1925, on view for the first time ever as part of Paris Photo Los Angeles. With an estimated one million photos, the LAPD Archives is a wealth of history that was hidden for decades in a huge repository in downtown L.A, buried among 150 years of police records. Los Angeles-based photographer Merrick Morton, who is also a reserve LAPD officer, learned of the giant archive when he went digging for LAPD photos for an exhibition he had planned at Fototeka, which he owns and operates with his wife. The archive, which contains photos from the nation’s oldest crime lab, contained boxes of chemically-unstable, decomposing, cellulose nitrate negatives. Merrick and his team managed to salvage an extensive amount of the archive from being junked due to the legitimate fire hazard they presented. Luckily, they unearthed this fascinating archive and rescued it from likely oblivion. Photographs from the LAPD Archives will be on view from April 25-27, during Paris Photo Los Angeles at Paramount Picture Studios in Los Angeles, California. Prints are available through Fototeka. 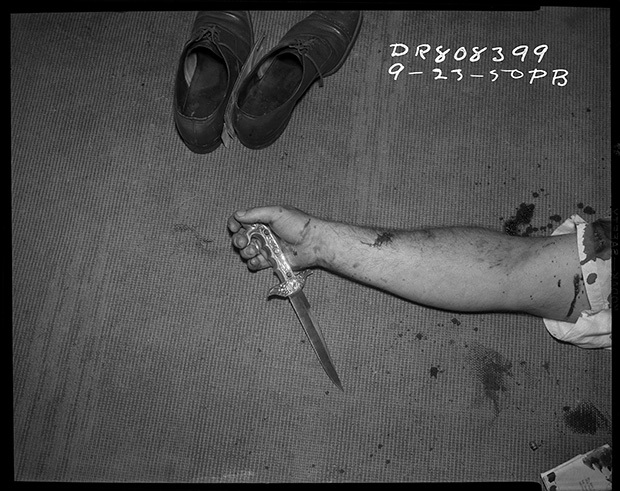 Shoes, arm, and knife, 1950 © LAPD. Courtesy of Fototeka. 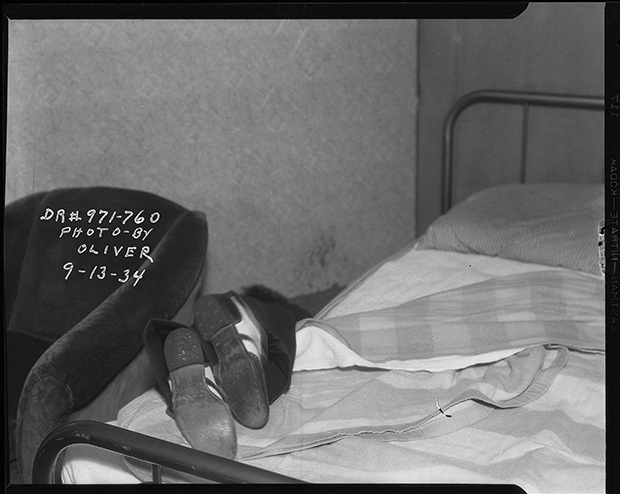 Victim’s feet hanging off bed, 1934 © LAPD. Courtesy of Fototeka. 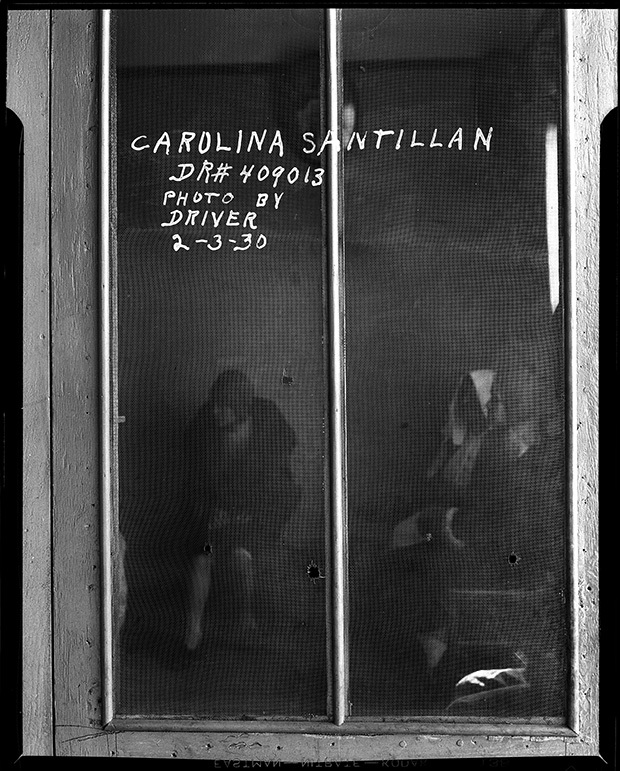 Detail of bullet holes in screen, 1930 © LAPD. Courtesy of Fototeka. 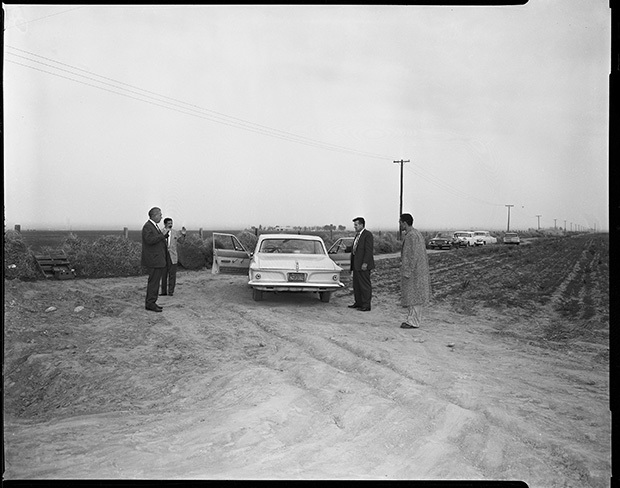 Onion field reenactment, 1963 © LAPD. Courtesy of Fototeka. 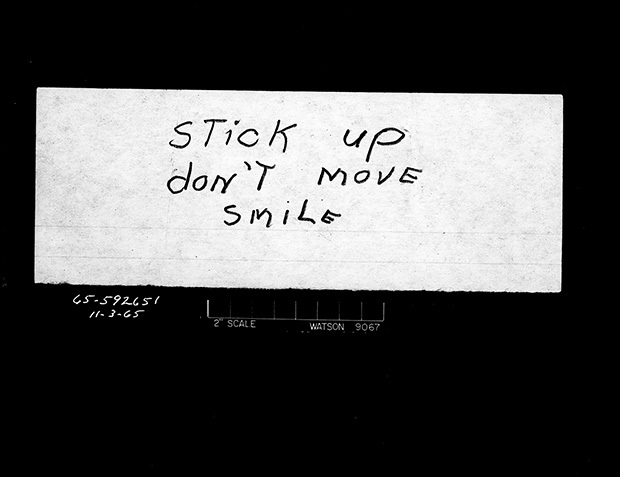 Bank robbery note, 1965 © LAPD. Courtesy of Fototeka.